Are you looking for a firm mattress for your bedroom or guest room? The Full Serta Perfect Sleeper Wesbourough Plush Mattress is a great choice for your home furniture collection. This mattress boasts FireBlocker Fiber, Serta PillowSoft Foam, Cool Twist Gel Foam, a 520 Continuous Support Coil System, and PillowSoft Aire Foam. With a Comfort Scale rating of 4, this piece is perfect for side and stomach sleepers alike. You’ll find the Full Serta Perfect Sleeper Wesbourough Plush Mattress is well worth the asking price, offering impressive value for all families. FireBlocker Fiber protects your mattress from the elements. Serta PillowSoft Foam provides an essential layer of comfort. 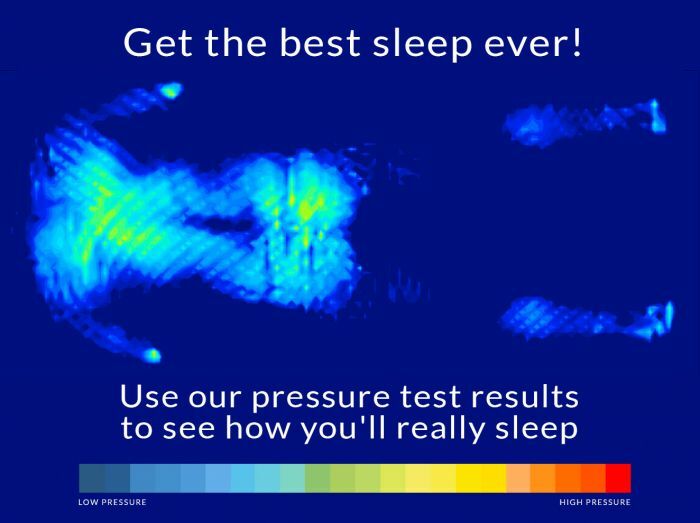 Cool Twist Gel Foam works to increase pressure relief and reduce tossing and turning throughout the night. The 520 Continuous Support Coil System is heavy-duty, built using one piece of steel and hundreds of tied coils. To top it off, PillowSoft Aire Foam guarantees body contouring and good airflow. 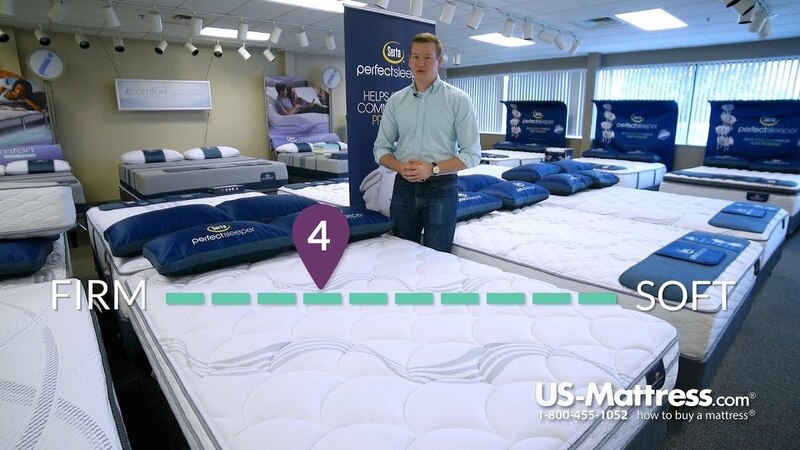 These characteristics come together to form a mattress that meets the mark – every time. Cal King 10" 72" 84"
Twin XL 10" 38" 80"
TIMING: You'll receive your mattress in about 2 to 3 weeks anywhere in the continental 48 states that's road accessible. Check your zip code for an estimated delivery date. SCHEDULING DELIVERY: You'll be called to arrange the delivery when your mattress arrives at the local delivery agent, approximately two weeks after order. Someone must be home to accept delivery. Great mattress at a great price. I'm a repeat customer and I find US-Mattress a good site for learning about mattresses as well as purchasing one. This mattress for this price is just outstanding. I highly recommend the mattress and the site. I bought this mattress a few weeks back for my granddaughter's bedroom. It is beautiful and so comfortable!! The delivery men were very nice and on time. And the price I paid for this mattress was unbelievable for the product I received. It is plush and so comfortable. Not too firm but not too soft either. On the whole, a great purchase. Will buy from US Mattress again definitely!! Don’t know what happened but this is the second one of these I’ve bought. The first one is awesome. I gave it to my daughter and ordered me another one. This one doesn’t support my body and makes a crunching sound. I also feel like there is something pushing up. I will buy again. It must just be this mattress. Sometimes there can be defects in any product. My son loves the mattress! He said his only problem with it is that it makes it hard to get up in the morning! It was ready and delivered right on time. The only issue I had was a little miscommunication about the delivery time but the driver was very nice and it all worked out in the end. The best mattress I have ever purchased. Like the mattress, very comfortable, but the delivery was a hassle. Assumed I would be contacted to setup delivery. When I called US-M, was told it's sitting at a contract carrier waiting for me to setup delivery. Took almost 2 weeks to get my mattress. I love the bed, really comfortable. No issues with US Mattress purchase...arrived before projected date, driver was great, mattress appears to be as described. I would not hesitate to order again should the need arise. I purchased this bed for my four-year-old and it is great! It's so comfortable I would sleep in it myself. She seems to be getting a great night sleep every night. purchased this for my son with Cerebral Palsy. The purchase process was very easy and the service was great. We received the mattress before it said. I would definitely do business with them again. If you don't like hard mattresses, the Queen Serta Perfect Sleeper Alimar Plush Mattress is the one for you. It is plush, and oh so comfortable, thank you US-Mattress! I slept on this mattress at a cabin we rented for a week. As soon as I returned home I ordered one. Was surprised at the low price.